Wayne Dennison is a general commercial litigator, with a national litigation practice, who co-chairs the Commercial Litigation practice group and leads the real estate and telecommunications litigation practices at the Firm. His experience in complex commercial litigation includes class action, qui tam, patent, contract, health care, sports, construction, land use, bankruptcy, telecommunications, environmental and public interest litigation. Wayne works with a wide range of clients from Fortune 500 corporations to elected officials to individuals. Wayne has repeatedly handled high stakes litigation and has represented health care companies, major sporting goods manufacturers, major developers and nationally recognized commercial tenants in a wide variety of litigation matters. He has successfully defended the then Acting Governor of Massachusetts against a federal civil rights action brought by another public official, and after jury trials, secured a complete defense verdict on behalf of a major life sciences REIT in a $60 million leasing dispute and helped secure a complete defense verdict on behalf of a Fortune 500 company in a multi-million breach of contract case arising out of the construction of two electric power plants. Wayne served as lead trial counsel to a potentially responsible party in a five-week federal Superfund trial and as lead trial counsel to this Country’s largest baking company in post-acquisition contract litigation. 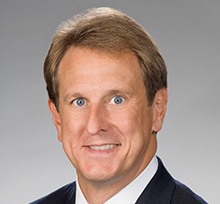 He has also served as lead trial counsel in multiple jurisdictions to a number of wireless telecommunications companies in numerous telecommunications, contract, and land use cases. Wayne was appointed as a Special Assistant Attorney for the Commonwealth of Massachusetts for purposes of its tobacco litigation and, in this capacity, helped secure the largest monetary settlement in Massachusetts history. Mihos v. Swift, successfully defended Acting Governor in federal civil rights suit. Tiverton Power Association v. The Shaw Group, successfully defended multi-million dollar construction contract litigation. In re: WorldCom Inc., helped secure multimillion dollar recovery for trade creditors in major bankruptcy matter. Connecticut Valley Sanitary Waste Disposal, Inc. v. Zielinski, 436 Mass. 267 (2001). Successfully represented lessor of landfill property in precedent setting commercial litigation before the Massachusetts Supreme Judicial Court. Sprint Spectrum L.P. v. Town of Easton, 982 F. Supp. 2d. 47 (D. Mass. 1997). Successfully represented major telecommunications carrier in precedent setting civil rights litigation. Former Board Member, New England Shelter for Homeless Veterans and Vietnam Veterans Workshop, Inc.